Have you ever considered pursuing a job opportunity in a different country? A local to Minnesota, Nils Justen took a huge leap – approximately 4,346 miles across the Atlantic Ocean – and completed a co-op in Ingolstadt, Germany at Audi’s headquarters. 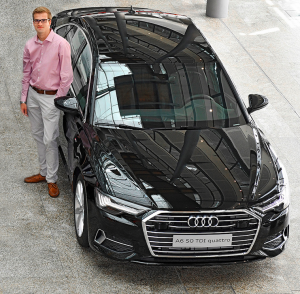 Working at headquarters broadened the learning experience for Nils through the chance to interact with all operations of the company – engineering, design and testing, marketing, and upper management were all in the same place. 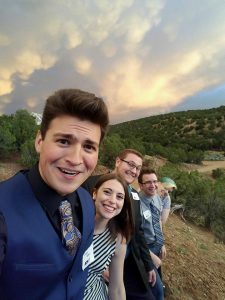 The decision to work abroad was a daunting thought for Nils, but the benefits far outweighed the risk and greatly impacted his trajectory and goals. Not knowing what to expect when he arrived in Germany, Nils flew out of Minnesota with two suits in his bag and more ties than he’d like to admit. Picture this: you apply for a job and get called in for an interview. A few days later, you receive a call saying, “We’re sorry, but you’re just not the right fit for our company.” What’s next? Do you get upset and discouraged, give up, and decide that you don’t want to change anything? Or do you thank them for their time, learn from your mistakes, and try again? Haley Hall is a engineering management and marketing student in the School of Business and Economics. In a family of entrepreneurs, Haley chose two degrees that would allow her to own a business someday. Engineering management offers flexibility and a multitude of career options and marketing allows her to utilize her creativity and gain skills on building and maintaining a brand. After interviewing for a digital marketing internship in Career Services with Jennifer Wall, Career Services Communications Manager, Haley was not selected for the position. However, that connection led her to an entirely different opportunity. Haley’s passion and enthusiasm left a good impression with Jennifer, and when Jennifer attended Grand Traverse Day in October, she spoke to Katie Horvath, CEO of Naveego, who was looking for a digital marketing intern to work remotely. Jennifer recommended Haley for the position. Haley received a phone interview with the vice president of sales and marketing and was offered the job shortly after. After completing her internship with Naveego, Haley will explore her other major: engineering management. 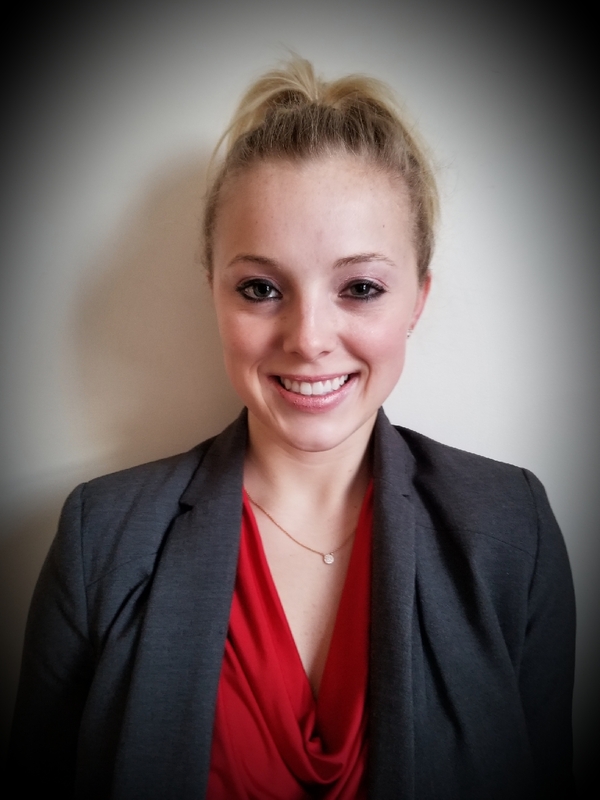 Haley has been offered an internship with Permasteelisa as an assistant project manager and will work there during summer 2019. Darian Reed is headed to Phoenix, Arizona on a co-op with Kiewit! 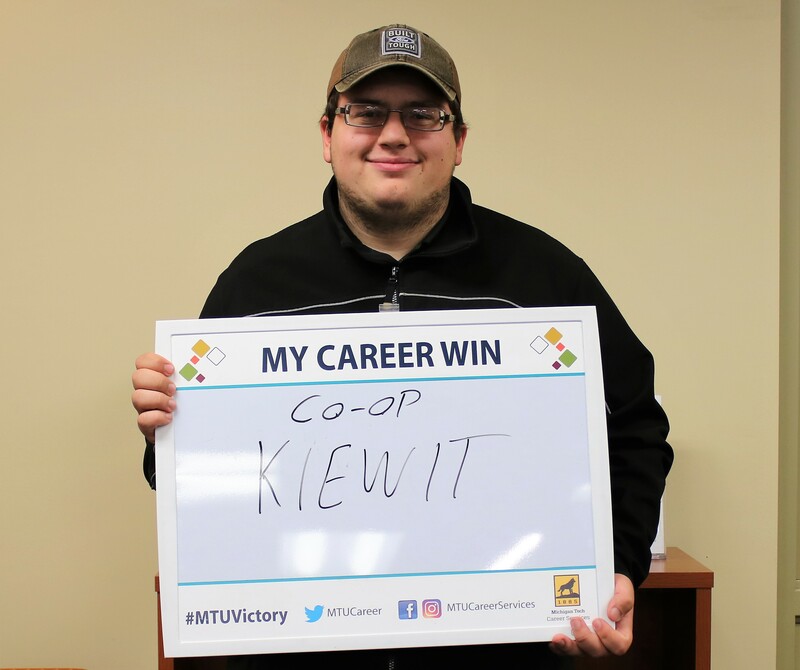 Darian, a civil engineering major at Michigan Tech, worked for Kiewit in Washington, D.C. last summer on a rail job. As his summer position ended, Darian was offered a co-op, thanks to an endorsement and recommendation from his mentor. Darian is looking forward to spending time in Phoenix and learning how to estimate a job first hand. Congratulations, Darian! Soak up some Arizona sun for the rest of us. 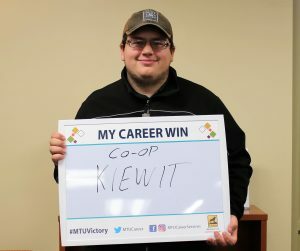 Hunter Linzmeier, Electrical Engineering student at Michigan Technological University, is heading to Kohler on a co-op! 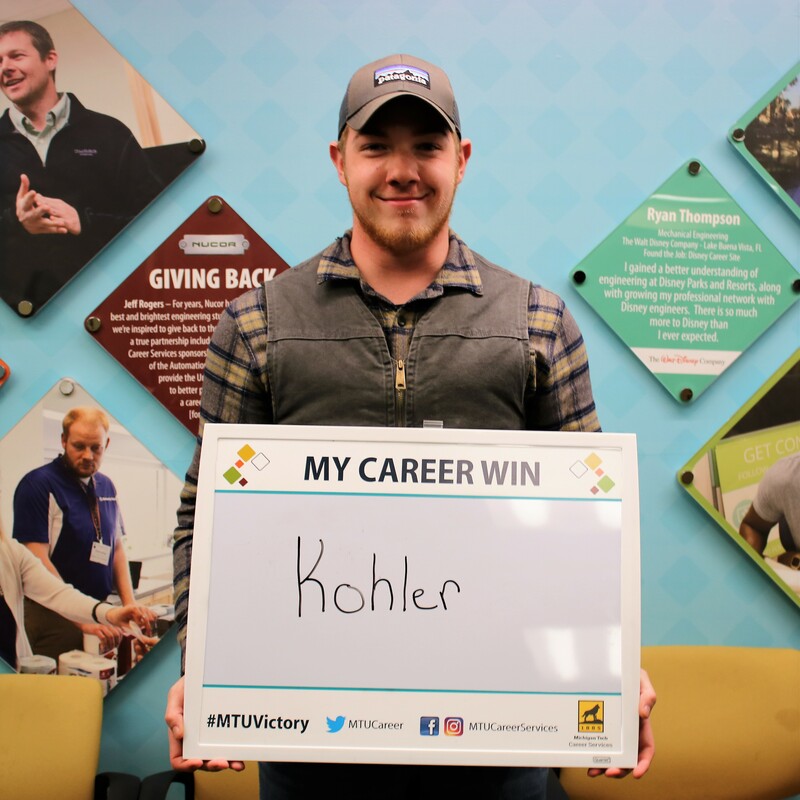 “Ever since I came to Michigan Tech, I was interested in Kohler. Being a huge company so close to home, I’ve heard nothing but great opportunities that they have to offer. I went to the Fall Career Fair with my resume and cover letter in hand and I connected well with the Kohler recruiters. I had a phone interview a few days following Career Fair. The interview went well and I was offered a co-op position immediately. I was so shocked that I got it! I also got offers from a few other companies, so that made my decision difficult. Ultimately, Kohler opened my eyes to their endless options and ability to open my mind with new experiences. I look forward to working with Kohler to brighten my horizon towards my future. If I could give other students advice, I would tell them to research the company they’re interested in; Connect with every opportunity because networking is important; Don’t worry or stress; Be confident, be cool, calm and collected; Most importantly, be yourself. “Once I got the telephone interview, it was all on me. I had to rely on my own capabilities to convert this opportunity into an offer,” says Sai Rajeeve Davaragudi after landing a summer internship at Faraday Future in Los Angeles, California. 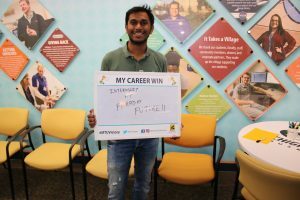 Sai Rajeeve Devaragudi is a tenacious graduate student at Michigan Technological University studying mechanical engineering-engineering mechanics. Before attending Michigan Tech, Sia completed a mechanical engineering degree at Manipal Academy of Higher Education, formerly known as Manipal University, in India in 2017. As an undergrad, Sia gained design, powertrain, and structural engineering experience through a Formula SAE vehicle project and a summer internship at Mahindra Susten. Sai credits his updated LinkedIn profile for helping him attract recruiters and for finding relevant job postings. The email reads, “My name is Mary, I found you through Michigan Tech Career Services.” Then it describes a summer job opportunity with an hourly wage and potential job responsibilities. We believe the email was sent from a fraudulent employer, and Michigan Tech’s IT department has blocked all future emails coming from the sender’s Gmail address. A few students responded to the initial email to inquire about the job. However, warning signs in subsequent emails prompted these students to contact our department, and we are so glad they did! Career Services did not give “Mary” your information. 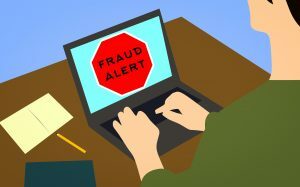 Please be cautious when sharing personal information with employers that you don’t know and be mindful that employment scams do occur, occasionally. Does the email come from a legitimate company email address? Free accounts like Gmail can be a red flag for fraudulence and phishing schemes. Do they have a legitimate company website? Does it look professional? Check the web address and make sure the website has multiple layers. Check for a physical address associated with the company. Does the company or individual claim to be overseas or international? We extensively vet international job opportunities. You should, too! You can also come to Career Services and we’ll help you do some research. P icture a state-of-the art, outdoor theater situated in the picturesque mountains of Sante Fe, New Mexico, which seats more than 2,000 people. “The sun sets. The orchestra starts the overture. The show begins,” explains Zep Elkerton, a visual and performing arts students at Michigan Tech, as he vividly remembers his AV apprenticeship at The Sante Fe Opera in 2016. Zep has always been curious about audio equipment and the way it works. When he was only eight years old, he wondered about the audio console at his church. He was determined to learn what all of the buttons did and to figure out how to operate it. He continued his study of audio and entertainment equipment throughout high school and college. As a first-year student at Michigan Tech, Zep met with his professors, Kent Cyr, to discuss internship options. 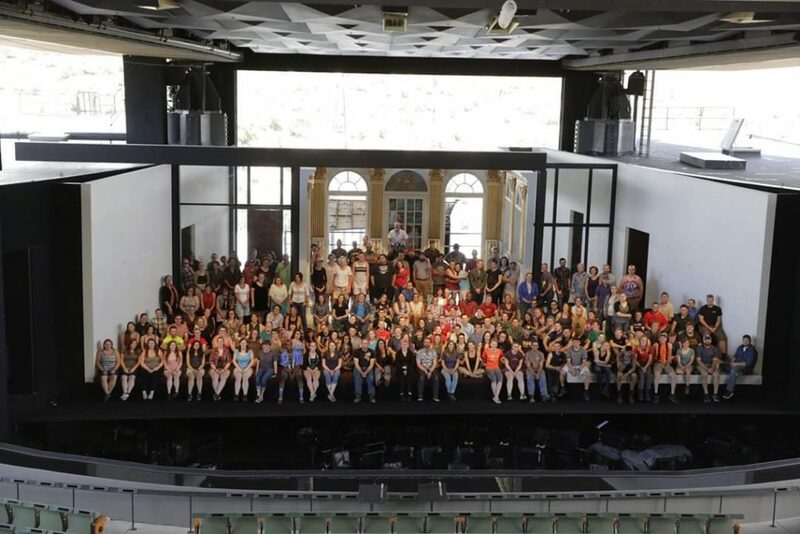 Thanks to Cyr’s council, Zep was hired at the Santa Fe Opera in New Mexico and describes his summer work experience as “magical.” Zep was responsible for moving sets, lighting, sound, and props. Last summer, Zep worked at the Spoleto Festival USA an apprentice carpenter. He worked on 53 performances over the course of 17 days. After the festival ended, he did freelance work in the Minneapolis area. He worked for the union and built stages for some of the biggest names in the music industry, including Billy Joel, the Backstreet Boys, and Florida Georgia Line. 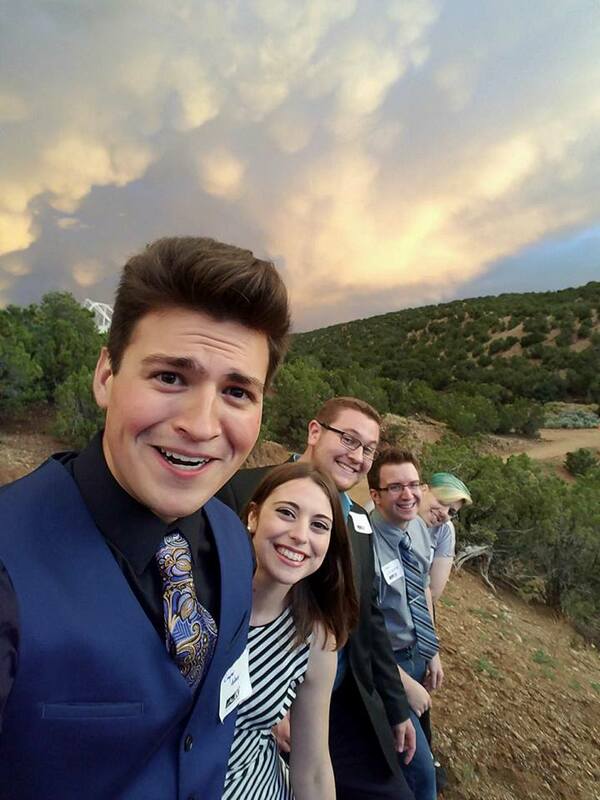 Left image: Zep (center) and the AV apprentice group enjoying the sunset on opening night at The Santa Fe Opera. Bottom image: The production team for the world class Santa Fe Opera in 2016. 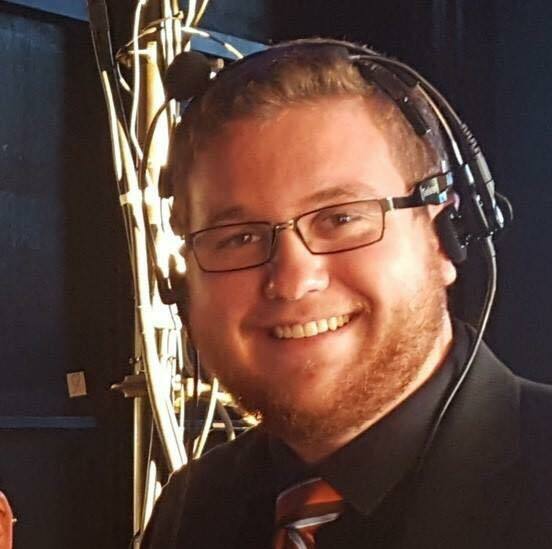 Alex Weber is double majoring in Mechanical Engineering-Eng Mechanics (MEEM) and Theatre & Entertainment Technology. When Alex decided to double major, she committed herself to twice the workload of her peers, and she increased the amount of time it would take to graduate. But why? For Alex, it also increased her career options. Many MEEM students at Michigan Tech go into the automotive, manufacturing or medical device industry, but Alex is blazing her own trail. She is using internship and co-op experience to explore both fields and to create a unique future, all her own. Her first two summer internships were at Lighthouse Productions in Green Bay, Wisconsin in 2016 and 2017, where she put her Theatre & Entertainment Technology major to the test. She spent those summers working on productions and controlling light boards. 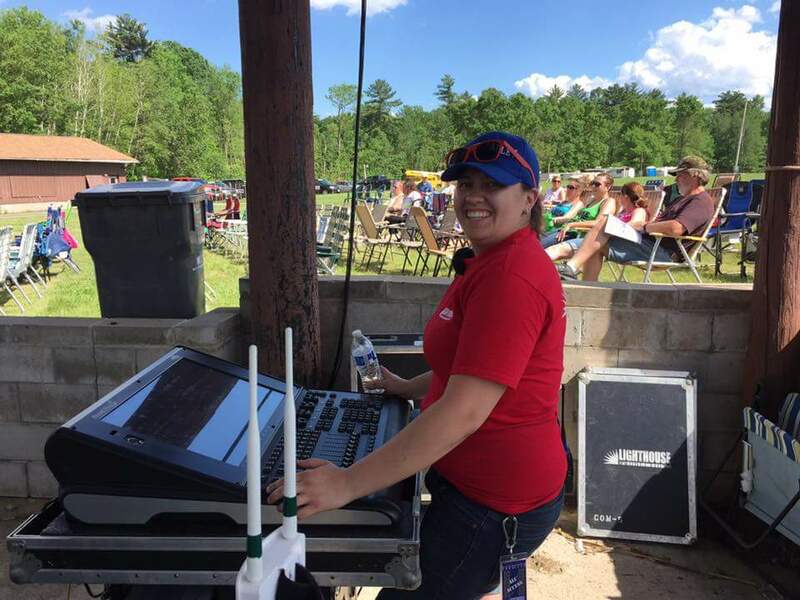 After completing her last internship at Lighthouse Productions and returning to campus, Alex attended Career Fair and landed an engineering co-op at Packaging Corporation of America in Valdosta, Georgia. 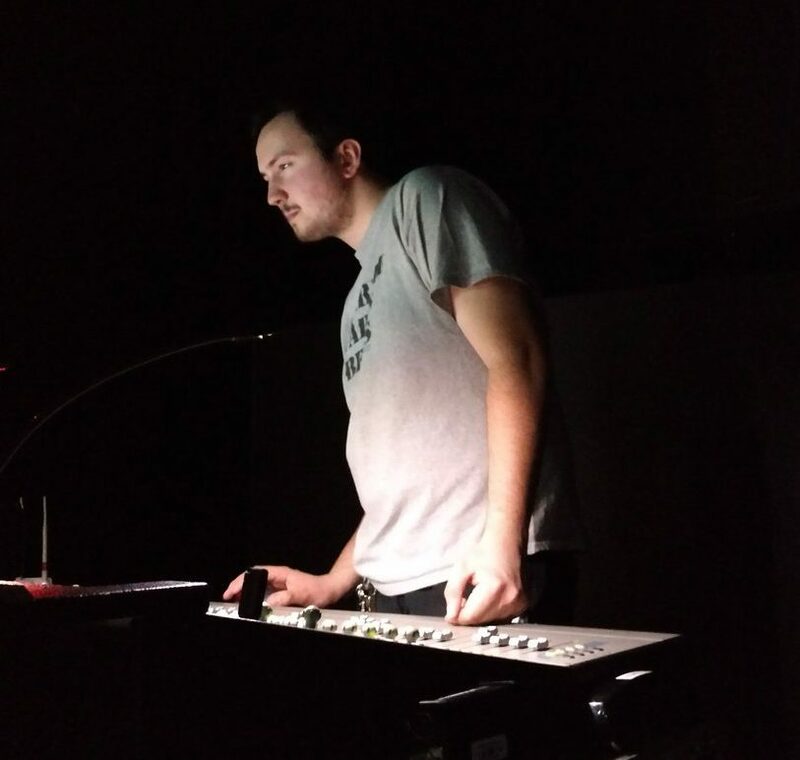 On the surface, mechanical engineering and theater might seem like polar opposites, but there are certainly professions where the pairing makes sense, and Alex is excited about the possibilities. 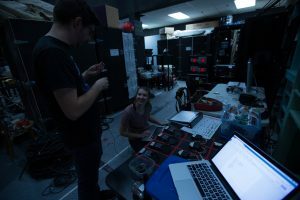 “The sound and theatre departments [at Michigan Tech] do a lot to help students grow and form connections in the professional world,” Samantha Palumbo, senior in sound design. Taking advantage of her sound design major with a focus in productions, Samantha has worked on eight (and counting!) productions in the past three years at Michigan Tech. She says, “One of the great things about Tech’s undergraduate program is the Visual and Performing Arts Department allows students to work hands-on from the beginning… That’s why I love going to school here. You can have a wide range of jobs on different productions.” Samantha has worked a variety of positions – from hanging lights to being in charge of painting sets. 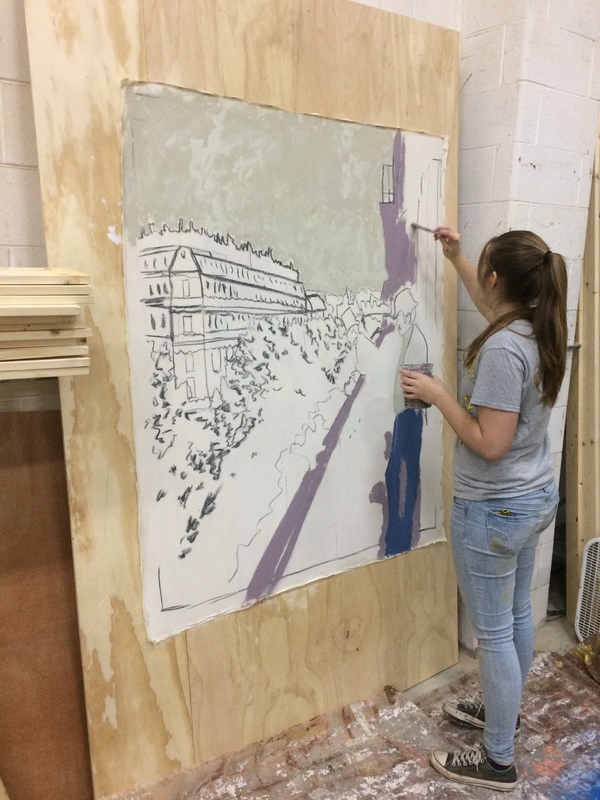 After taking the Scenic Art and Illustration class, Samantha was the Scenic Charge Artist for Picasso at the Lapin Agile. Keweenaw Awesome Fest 2017. Photo courtesy of www.henrysendekaudio.com. Henry is returning to his internship this summer, but can’t give details due to a Non-Disclosure agreement. However, he was hired because of a small group of alumni that currently work for the company. They knew how much knowledge MTU graduates have. They took a chance on Henry and were so impressed with his work that they re-hired him for another summer.